Each and every one of the ingredients in our products contributes to their overall effect. Careful thought goes into the selection and sourcing of the raw materials as well as the way in which the individual ingredients are combined to form complete Dr. Hauschka products. We also adhere to the highest quality standards. This page tells you more about the individual ingredients: where they come from, why we use them and what functions they perform in our products. The ingredients in Moor Lavender Calming Body Oil have been carefully selected to envelop the skin with protective and fortifying effect. At the heart of the composition is a moor extract, produced using a proprietary rhythmic processing method. This helps people to protect themselves from within, withstand external influences and use their own strengths to form a new, protective layer. People who are sensitive to the weather and feel the cold easily regard this ability as a blessing. Olive oil additionally strengthens the skin’s barrier function. Shea butter soothes the skin and helps it retain moisture. Natural essential lavender oil unfurls a delicate fragrance, which offers the user a sense of calm and composure for the day and promotes a relaxing night’s sleep. The result: a calming body oil for those times when we yearn for a protective shell. As someone once put it so beautifully: power comes from tranquillity. Why is shea butter used as an ingredient in Dr. Hauschka products? 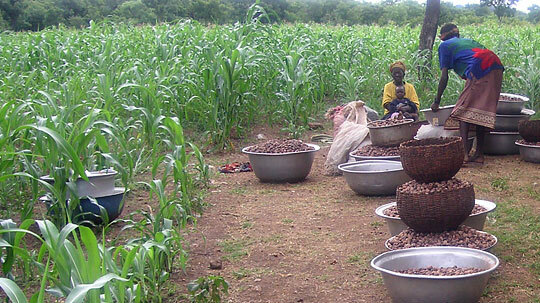 The growth of the shea butter project in Burkina Faso has been simply incredible. Back in 2001, organic shea butter did not exist anywhere in the world. We therefore initiated the organic certification. At the time, we were the manufacturer Agrifaso’s only customer and purchased all of its organic shea butter. Today, the company has developed into a stable supplier that produces organic shea butter for a number of customers. We are now just a small one – perfectly in line with our aim of our initiative and support helping to create an independent and autonomous company. In the hot Sahara, shea-butter has a life-preserving function: for centuries the people there have used it to protect their skin from the drying wind. 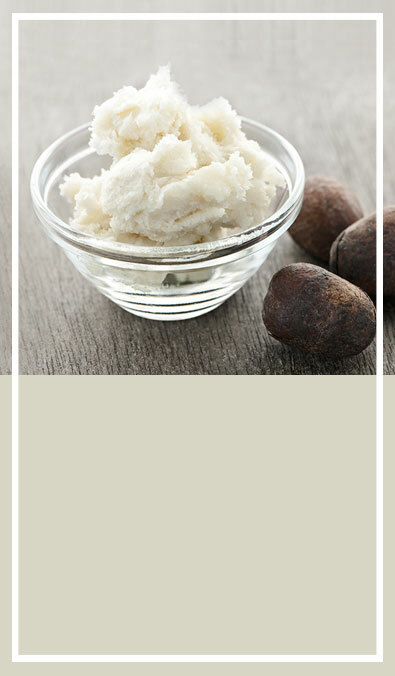 In Africa, shea butter is used traditionally for skin care, for relief of rheumatism, muscle and joint pain, as well as for the prevention and treatment of stretch marks and for baby care. The harvesting of the fruits is based on an ancient ritual called ‘Begu’. Harvest time begins with a festival of sacrifice. The women use the fat from the first nuts collected to make a dish of brown beans, which is eaten by the village community during the festival. The shea tree was given its name at the end of the 18th century by the Scottish explorer Mungo Park. He was presumably inspired by the African Bambara language in which "sii" means sacred. In honour of Mungo Park, the scientific name of the shea tree is Butyrospermum parkii (Latin: butyro = butter, spermum = seed). 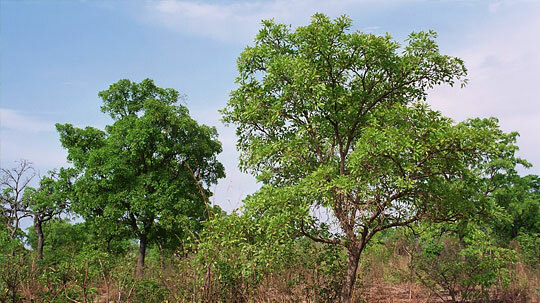 The shea tree (Butyrospermum parkii) is extremely rare. It is natively found in the Savannah regions of the Sudan and the source region of the Niger and the upper Nile. Its natural habitat spans a restricted, approximated 300 km wide region from Mali through Burkino Faso to Ghana, Togo and Benin. It is only here, and nowhere else in the world, that this tree flourishes. The gnarled shea tree grows to a height of 10 to 15 metres and can easily cope with arid conditions. The lactiferous tree with its leathery leaves does not flower until it is 20 years old but then does so all year round. It reaches maximum productive capacity at the age of 50, then remains fully productive for more than 100 years. It is the green plum-shaped fruits, which become brown when they ripen, that make the shea tree of interest to humans. From a botanical perspective, these are berries with a diameter of up to four centimetres. 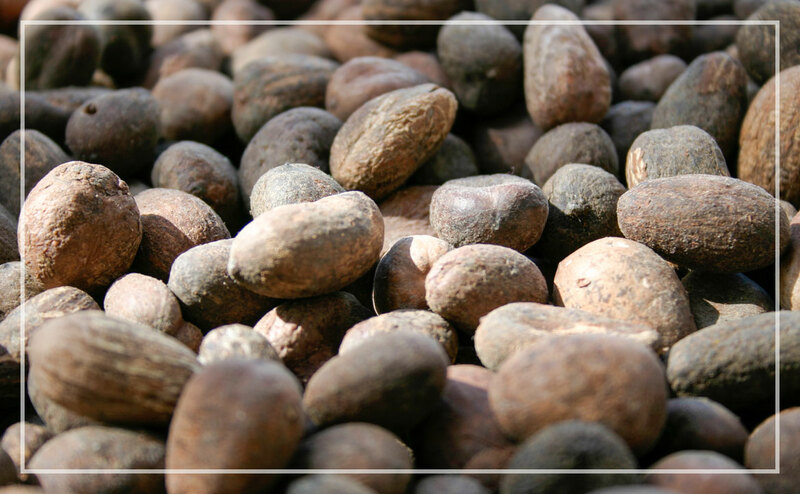 With a fat content of over 50 percent, the kernels, which we know as shea nuts, are a sought-after source of nutritional and skin care fat in their African homeland. The sweet fruit purée is also eaten. 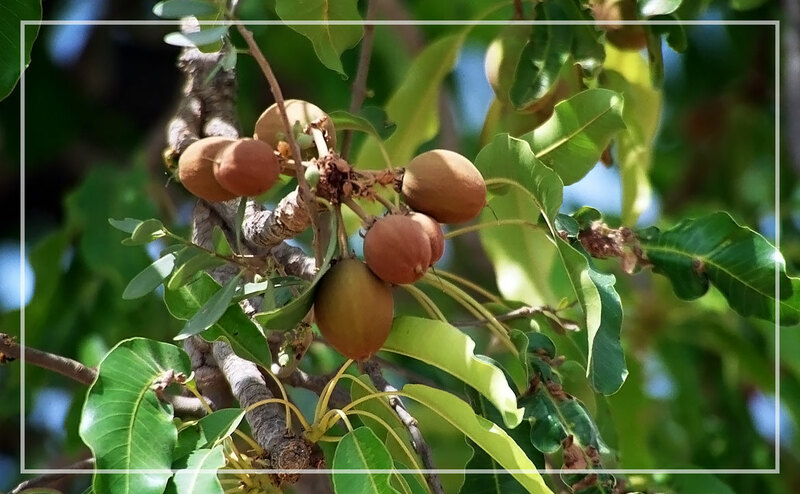 The shea butter obtained from the shea nuts now has its followers all over the world. This is rich in fats with long-chain saturated and simple unsaturated fatty acids as well as structure-giving unsaponifiables. These give the lipid a melting, buttery character. The vitamin E and provitamin A contained prevent shea butter from becoming rancid. In Germany, shea butter products were first imported at the end of the 19th century. The first large-scale practical tests of its use in skin care were performed between 1930 and 1952. The chemists were very enthusiastic about the high fat content of the fruits as well as about their long shelf life without preservatives. In the mid-1960s, shea butter disappeared from the world markets and was supplanted by the cocoa butter promoted by the industrial countries. In recent years, the valuable raw material has regained significance as a structure-giving natural substance in high-quality cosmetics. 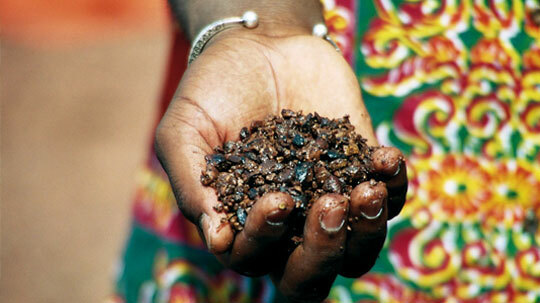 The shea butter for Dr. Hauschka Skin Care comes from Burkino Faso. In 2001, we provided the stimulus for an organically certified project in the region around Diarabakoko in the south-west of the country. 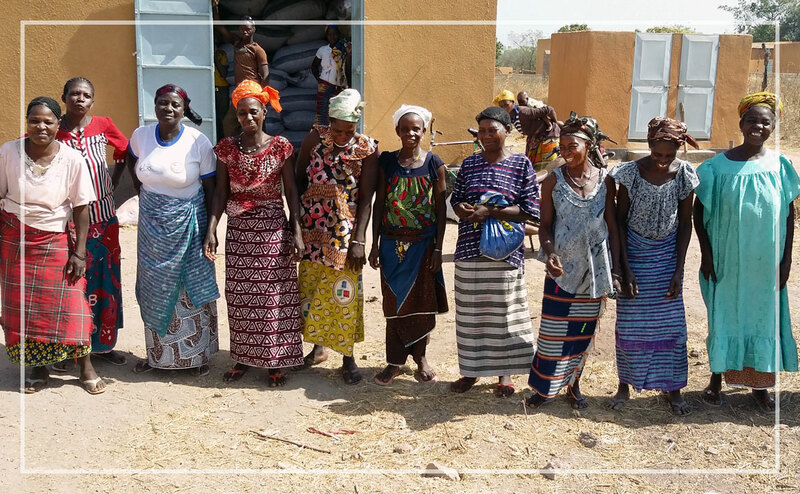 2,200 women from 17 villages are today involved in the project and collect the shea nuts from several protected, organically certified collection areas. The collectors in the project village of Diarabakoko independently organise themselves in a producer association. This is a women-only association, as is common and natural in Africa. 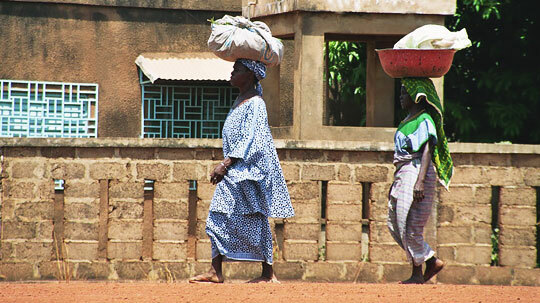 Shea butter has always been a women’s thing and only they are authorised to harvest the nuts. The women named their association ‘IKEUFA’ (Faire bien et meilleur de Diarabakoko), which can be roughly translated as: Do good and better things in Diarabakoko. Their earnings from the shea nut sales enable them to pay for their children’s school fees – so that all of them, rather than just the lucky few can go to school. They are also able to pay for basic essentials like food and medicines. Shea butter leaves the skin feeling pleasantly soft and helps it to retain moisture. Through their moisture-binding properties, the unsaponifiables in shea butter, in particular, make the skin feel soft and smooth. Shea butter is furthermore well tolerated and particularly ideal for dry and allergy-prone skin.